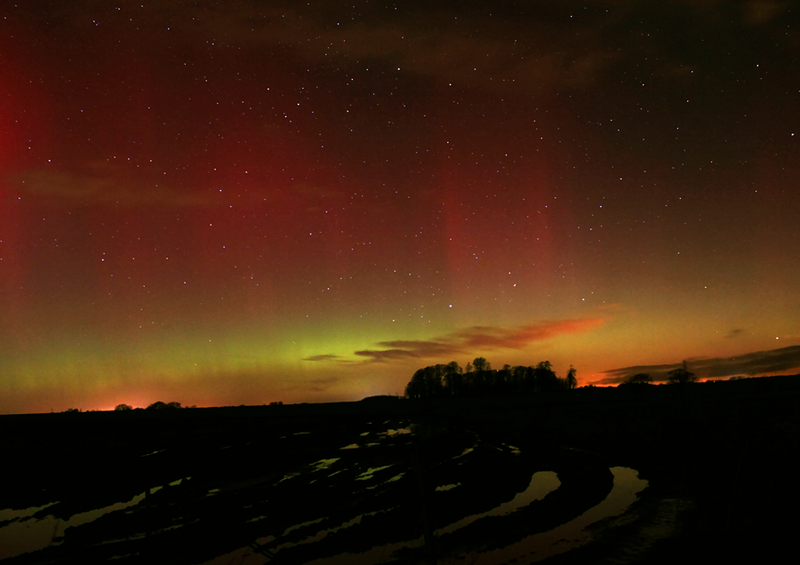 Last night, following a coronal mass ejection impact, the auroral oval shifted south enough for the Northern Lights to be visible from southern England. Having watched the POES plot get angrier and angrier during the course of the early evening and with the IMF stubbornly south, I decided to jump in my car and drive out of Bristol. I headed a little way east, to avoid an oncoming cloud front, and found a place to park just northeast of the Bath junction of the M4. As I got out of the car it was clear there was a diffuse glow hugging the northern horizon and every now and then I saw a faint ray appear above it and then dissolve away. No colour was visible to the naked eye though. Thinking (and hoping!) this might be an aurora, and not a trick of the distant light pollution, I set up my DSLR camera and opened the shutter for 20 seconds. The following images are what I recorded over about ten minutes, after which the sky hazed up considerably and I decided to go home. Please note that all the images are copyrighted. Clicking on the image will take you to a larger version. Last week I was lucky enough to spend five days sailing up and down the Norwegian coast onboard the Hurtigruten ship MS Trollfjord. While I was on the trip, from Tromsø to Kirkenes and back again, there were several fine displays of the Northern Lights. Despite all the difficulties that arise when trying to photograph the night sky from a moving ship, I did manage to get a few shots of the lights, which I’ve posted below. Ironically, the best display we saw — with several spectacular auroral coronae and countless multicoloured rays — appeared just as we docked in Tromsø at the end of our voyage, late on Wednesday night. So it seems fitting to start the picture collection with a shot from that display showing the aurora over Tromsø’s famous Arctic Cathedral. If you’ve ever gazed in wonder at some of the spectacular timelapses from the International Space Station, there’s a good chance it was captured by NASA astronaut Don Pettit. 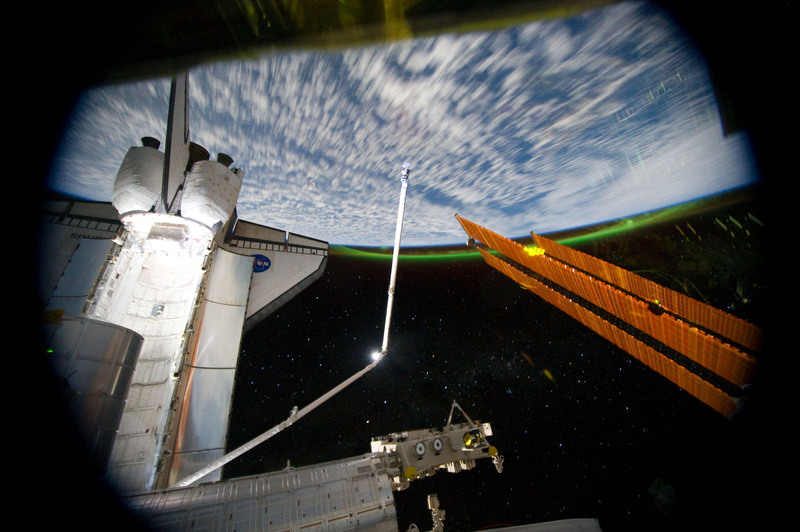 Don has photographed the Earth from space extensively during several missions to the space station. Late last year I spoke to him about one specific phenomenon that he’s imaged from orbit – the aurora. The interview has now been released by Sky at Night Magazine as a podcast and you can listen to it here, or with the audio player embedded below. 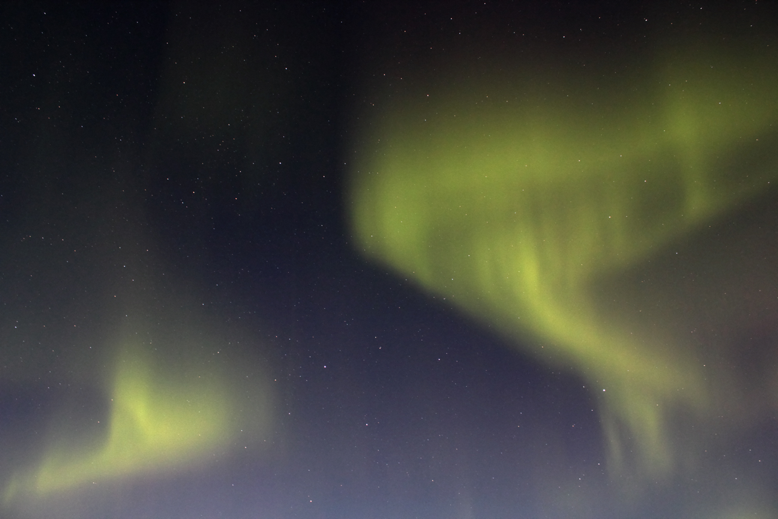 And if you want to get a sense of what it’s like flying over the aurora, have a look at some of the stunning videos over at NASA’s Gateway to Astronaut Photography. Top aurora image courtesy of the Image Science & Analysis Laboratory, NASA Johnson Space Center. Audio courtesy of Sky at Night Magazine. 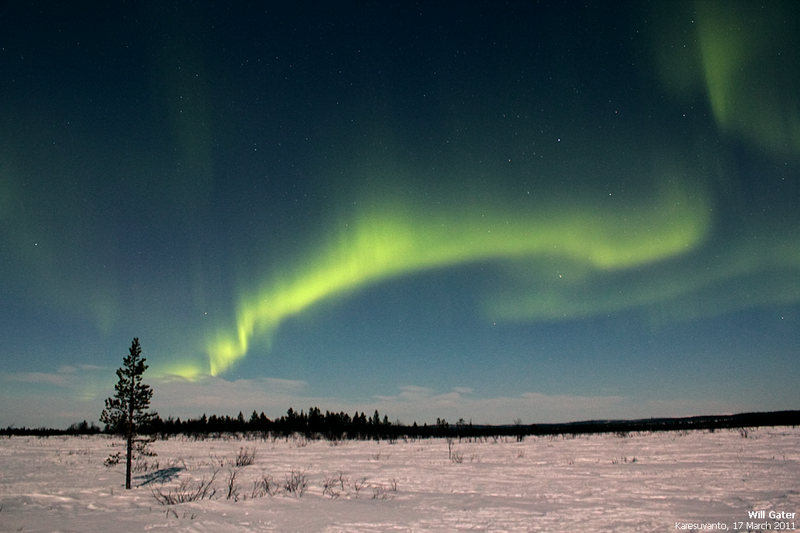 Following on from the images I posted earlier this week, here’s the latest episode of the Sky at Night Magazine vodcast, which is all about my trip into the Arctic Circle in search of the aurora borealis. As usual, make sure you select the 720p HD setting for the best video quality. Last week I was lucky enough to have been staying in the Finnish village of Karesuvanto when the Northern Lights made an appearance. 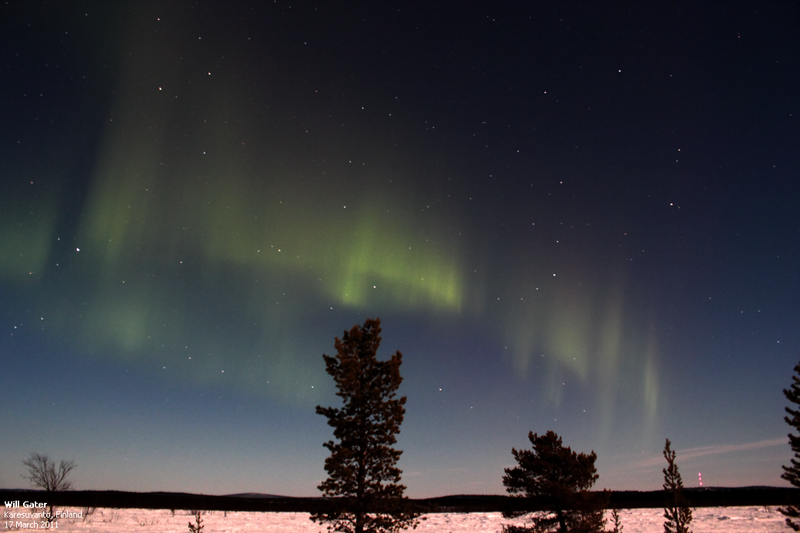 For about an hour, on the evening of the 17 March, the aurora pulsed and flickered over the moonlit landscape, putting on a remarkable show that I’ll remember for a long time to come. Below are some images I captured that night using a Canon 550D DSLR, 18-55mm kit lens and a static photo tripod. You can click on each image to see a larger version. 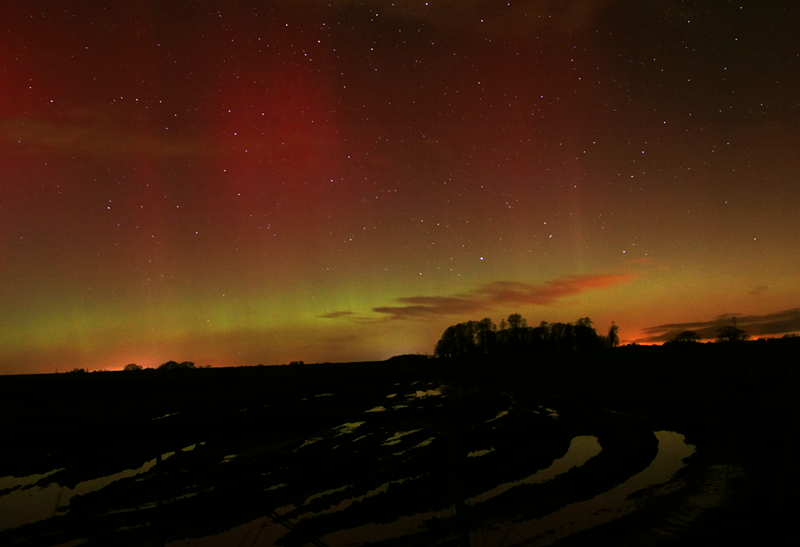 At the peak of the display the aurora covered large swathes of the sky. 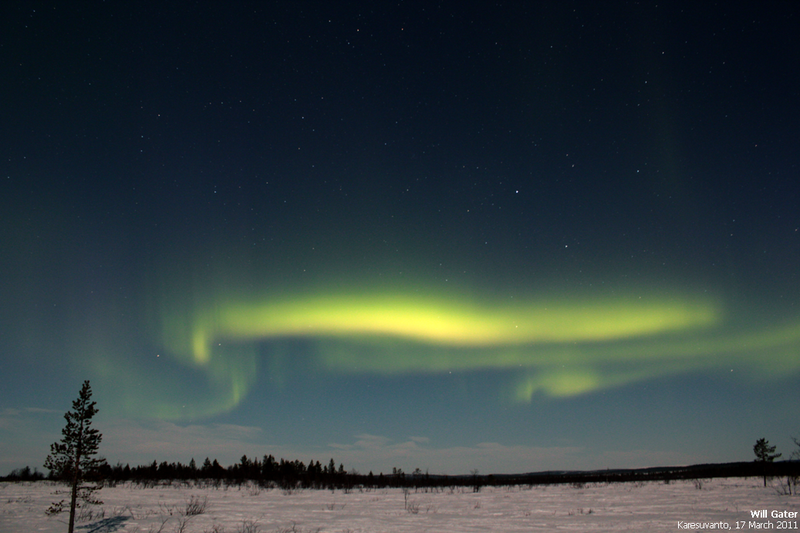 At one point auroral rays appeared to descend from right above. 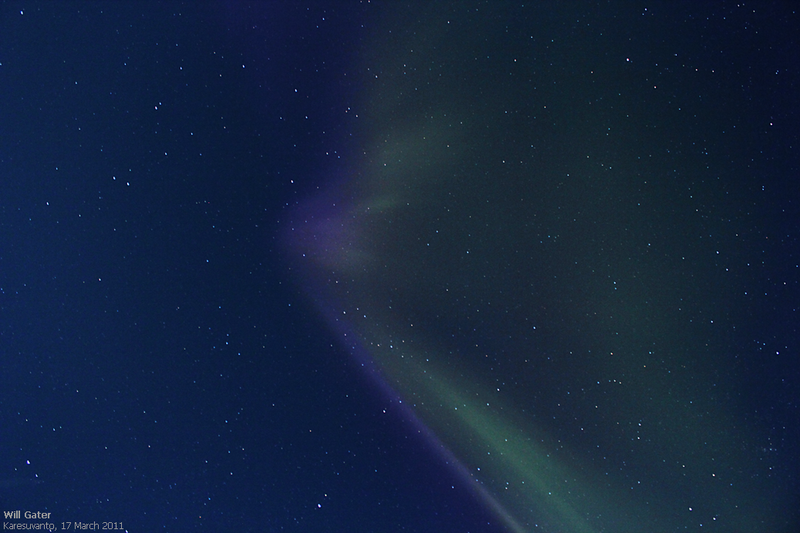 A bright auroral band over Karesuvanto. The camera shows colours, such as purple & deep red, that weren’t obvious to the naked eye. Auroral rays dance across the constellation of Hercules. Several large and bright swathes of auroral light became visible at the height of the display. The ‘black aurora’ [more info. here] is seen crossing overhead in this image. Last week I was lucky enough to be staying in the Finnish village of Karesuvanto when the Northern Lights made an appearance. For about an hour on the evening of the 17 March the aurora pulsed and fluttered over the moonlit landscape, putting on a remarkable show that I’ll remember for a long time to come. Below are some images I captured that night. Click on each to see a larger version. 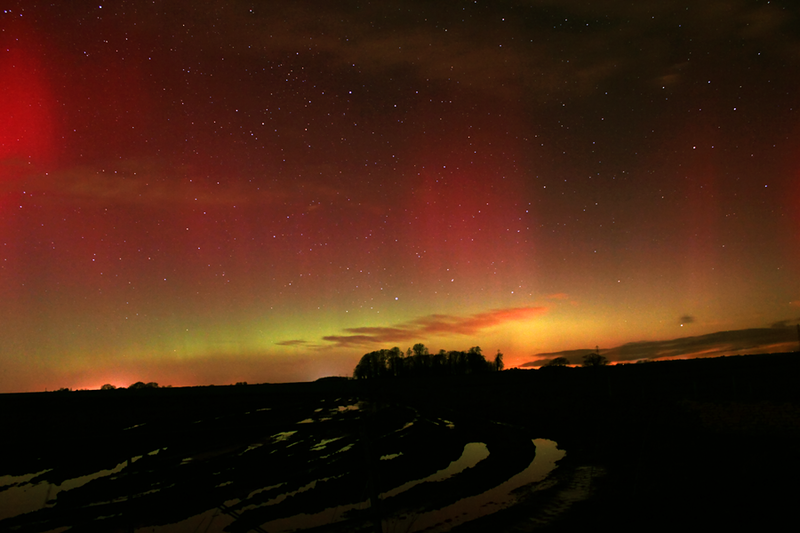 Last year there were some beautiful images of the aurora borealis submitted to Astronomy Photographer of the Year. I’ve only ever seen the Northern Lights from the West Country once, many years ago, and even then it was little more than a faint ruby-red glow on the northern horizon. But that was enough to whet my appetite and make me want to see them properly. For this reason, a few months ago, I set out to learn exactly what would have to happen to create a big auroral display across most of UK, including southern England. The results of my research can be found in my new article in the February 2011 Sky at Night Magazine. In it I interview solar scientist Dr Jim Wild and aurora hunter Martin McKenna, to get their advice on what we should look out for. 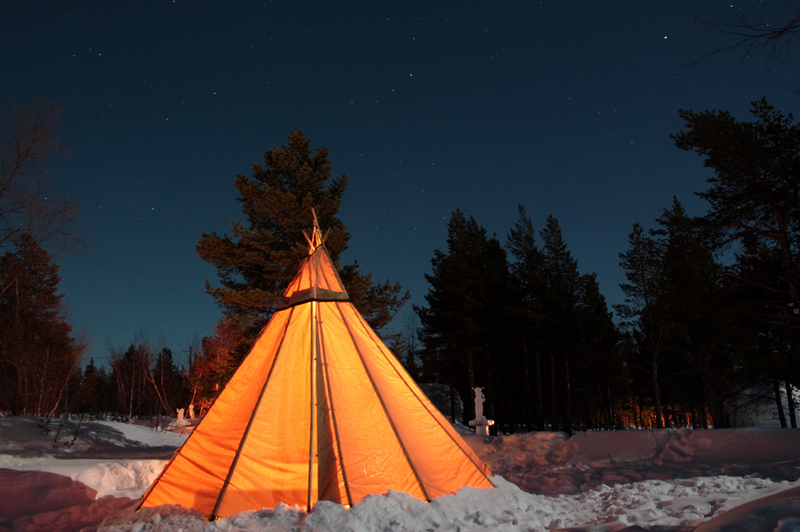 Over the next few years, as the Sun reaches the more active part of its cycle, we may get a visit from the Northern Lights so now’s the time to swot up. The magazine is on sale next week; pick up your copy to get prepared. Picture the scene. It was lunchtime today and I was sitting at my desk looking at the weather forecast for this evening, hoping that it would be clear to do some observing. The signs weren’t good. Outside it was pretty gloomy and the latest satellite image was showing a lovely bank of thick rain laden cloud moving towards Bristol. And so I resigned myself to the fact that there would be no observing tonight. Then I happened to check an astro forum I regularly read. One new post caught my eye with a link to a “live aurora webcam”. These live webcams looking at astronomical objects can be tricky to get right, especially looking at something like the aurora. Nevertheless I clicked the link and waited for the webcam image to load. The moment the image popped onto the screen, the glum feelings of tonight’s lost observing session evaporated. Staring back at me was a ribbon of green light stretching over a dark horizon. At first I thought that it must have been a placeholder image of a previous apparition, it was so good. But it wasn’t. I had logged on and tuned in right in the middle of a beautiful green auroral display! I watched the next few images come through every ten minutes and saw the green ribbon twisting and moving between each frame. 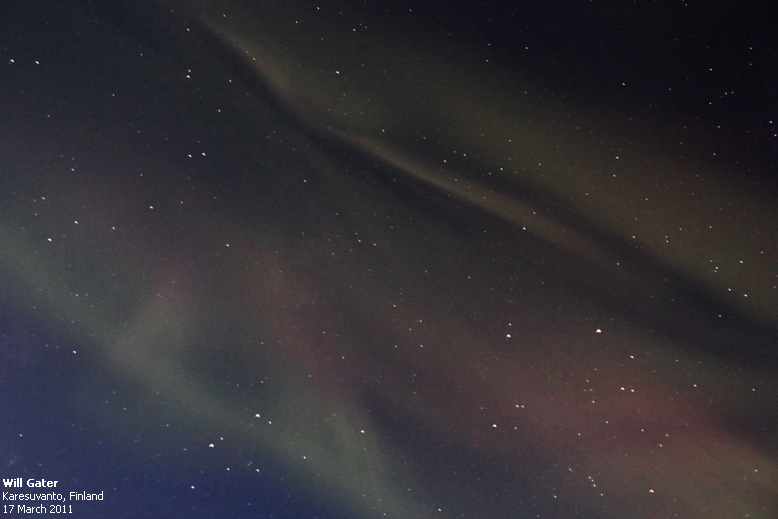 Having seen Joanna Lumley chase the Northern Lights, in a recent BBC programme, only to get a fleeting glimpse of them one night, I figured I was pretty lucky to log on at this very moment. Soon I had to get back to work, but just before I left the office this evening, I checked back to see that the Sun was just beginning to rise in Alaska (where the camera is based). Funny, I thought, as I looked outside to see that the Sun here in Bristol had just set. How small the world is. By the time I got home to my computer, the morning Sun was lighting the foreground and where, only a few hours before, the Northern Lights were dancing in the sky, now there was a stunning azure blue sky and a snowy Alaskan panorama. Now you’re probably wondering where this webcam link is. Well it’s here. The webcam is provided by the International Arctic Environment Research Project Group of National Institute of Information and Communications Technology based in Japan (thanks guys!). The camera is located at the Poker Flat Research Range in Fairbanks, Alaska and according to the NICT website it’s a FujiFilm FinePix S2Pro DSLR. 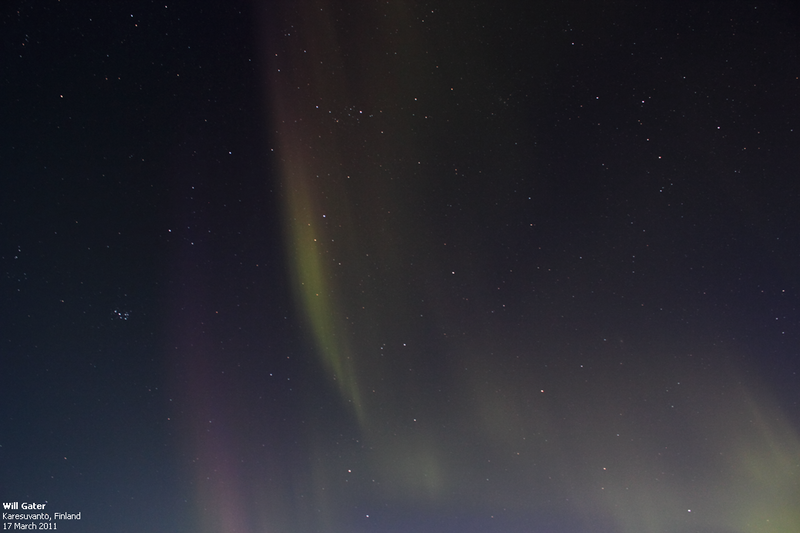 The NICT website has loads of information about the camera, its location as well as good times throughout the year to log in, to try and see aurorae. It also has a handy applet to tell you when (In Alaskan time and UT) the best observation period for the day is. As I write/post this on Wednesday evening it’s afternoon in Alaska, but in a few hours time the Sun will set and then the time for looking for that tell-tale glow will begin. Why not head over there if you have a spare minute? I’m going to be logging in every now and then to see what I can see, probably when the good old British weather keeps the stars from me. I’ll make sure to update my Twitter feed if I see something! It’s these little adventures in astronomy that keep our interest fired up inside us. And I can certainly say I have been cheerful all evening, despite the clouds outside. Happy aurorae hunting! Updated 02.11.08 to add a picture from the NICT camera with kind permission of Dr. Yasuhiro Murayama, National Institute of Information and Communications Technology.